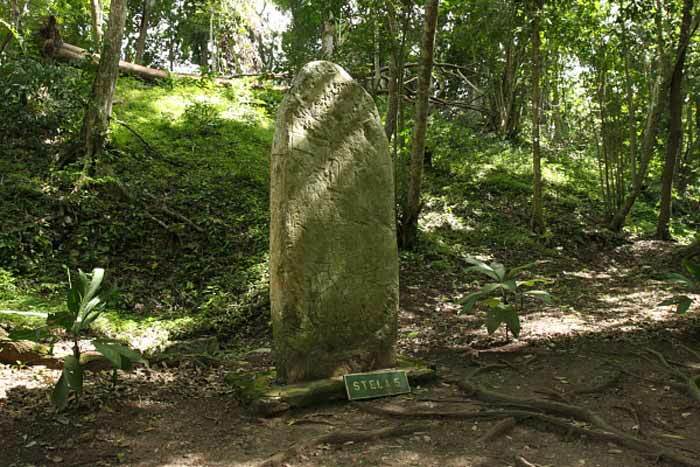 The story coming in of this new finding at the ancient site of Caracol is still very vague and downright sketchy if you ask me but I tell you as I heard it. We know that the BDF Belize Defense Force are situated at the Mountain Pine Ridge Reserve and the Chiquibul National Park specifically in Douglas Da Silva Forestation and Tapir camp. Everyday or whenever they have a working vehicle members of the BDF will accompany tour groups heading to Caracol. 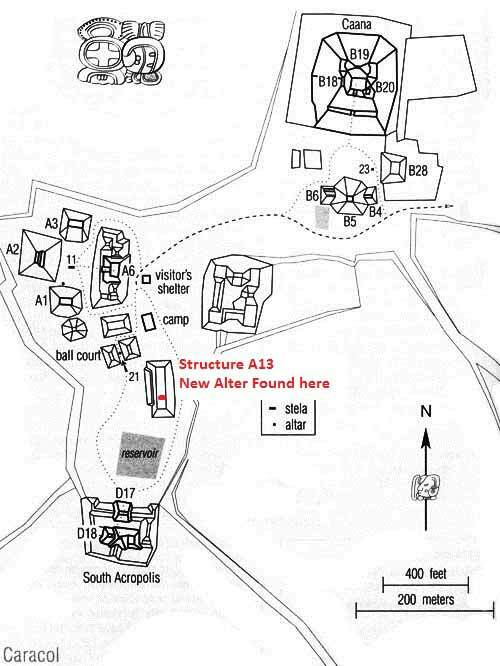 One one such day a member of the BDF had climbed on top of structure A13 possibly to get a higher vantage point such tactics can also me observed at the site of Xunantunich. While also cleaning in the same area a caretaker of the site climbed to the top of A13 and noticed that the BDF was observing an exposed stone the caretaker later commented that he had always climbed above to clean and had never given the stone any importance. The caretaker approached a tour guide as he was passing-by delivering his tour. 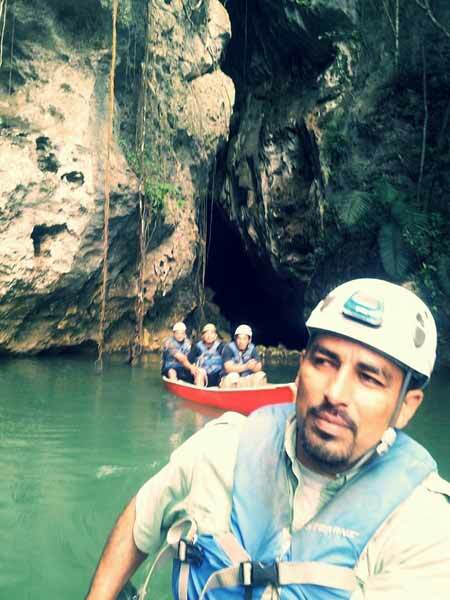 This guide is no other than Jorge De Leon who also climbed atop of A13 to observe this stone. “Lion” as we the tour guides know Jorge by, is a professional guide in the field of Archeology and with his keen eye and knowledge confirmed that this stone had not been documented. Lion took a few pictures of it and later met with PhD Jamie Awe who’s excitement we could only imagine. PhD Awe forward the images taken by Lion to PhD Chase who was to begin their field season in just a few weeks. 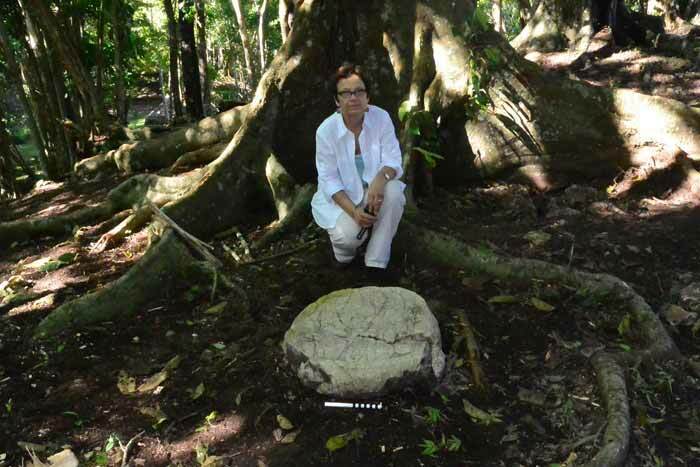 PhD Arlen and Diane Chase have dedicated their lives to Caracol and have been working there for the past 30 years and currently the 31st year is underway. 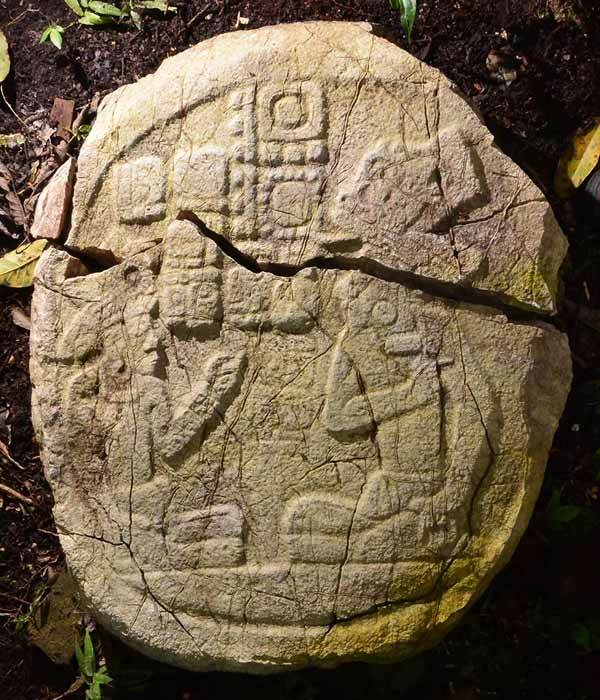 After a few days of preparation at the site getting it ready for the new season and after settling in the Chases finally climbed to the top of A13 and took pictures and confirmed that the alter dates to 884AD 8 Ahau 8 Mol and is now the final recorded date at Caracol previously Stela 10 was the last known recorded date at 859AD. After speaking with Jorge he informed me that the alter was fully exposed and clean as if someone had excavated it and left it there forgotten. The area around the stone was undisturbed and showed no evidence of any recent activity. I can remember that PhD Jamie Awe after the tourism development project (2001-2004) he had interest in clearing and conserving structure A13 but he nor anyone else did anything on that building, it’s believed to be an elite residential building.